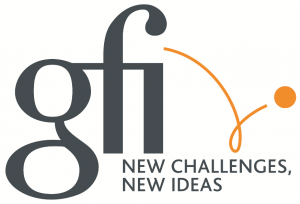 Since 1995, the Group Gfi Informatique (www.gfi.fr) has positioned itself as one of the leading IT service firms in France and Southern Europe. Gfi Informatique is an international IT services group employing 11,000 people at the end of 2014. The Group recorded revenues of €804 million in 2014. Gfi Informatique provides its customers with expertise in consulting, systems integration, outsourcing and software solutions. Gfi Informatique has developed 10 skills centers, 6 services centers in France and 3 off-shore centers, which are key points in the industrialization process. The company covers all stages of the information system life cycle and caters mainly for large corporates, public bodies and local authorities. Gfi Informatique has over 40 branches in France and 8 international agencies in Southern and Northern Europe and Morocco. The Group is organised around four business lines: Consulting, Systems Integration, Outsourcing and Software Solutions. • Design, implementation and integration of data processing systems. • Maintenance of data processing systems (TAM). • System management (Infrastructure Services). • Edition and distribution of software packages. • Related services (consulting and services). • Digital and ERP Integration. The QMS enabled Gfi to appropriately conduct the industrialization of its process in terms of organizational models (front office/back office), outsourcing (offshore) and engineering (production tools and methods).